ClickWand.com - create your one-off fee website! Build your own website in just a few clicks! Create a personal or business website online instantly at a one-off cost without any hidden monthly fees! You have the choice of either downloading your site as HTML or hosting it with us. Your website is optimised for SEO from the start with relevant keywords and descriptions suggested automatically during creation of the website. You can customise them as you wish at any time. 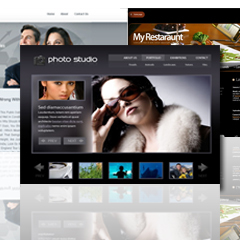 Choose from a large variety of themes to build your SEO friendly professional website. Whether you want to create a personal website or a business one, use the online tool to create and launch your site in no time. 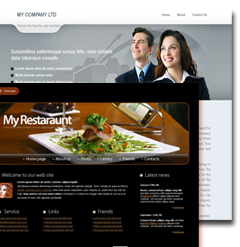 People have used the online tool to create great websites without any hassle or programming skills. 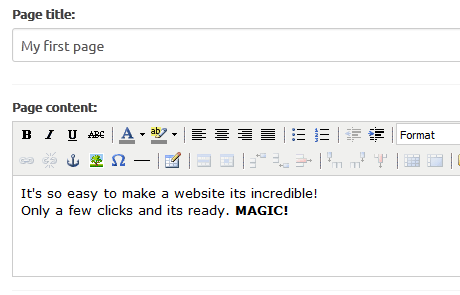 If you think, your site deserves to be featured, simply send us an email to contact at clickwand.com!